We stand amidst the supreme manufacturers and suppliers of a comprehensive array of Open Pan Evaporimeter. The Open Pan Evaporimeter that we offer is used for measuring evaporation loss of water in the atmosphere, also referred as atmometer. 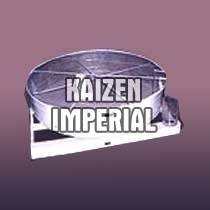 This instrument is manufactured in compliance with the international standards as per IS: 5973:1970.